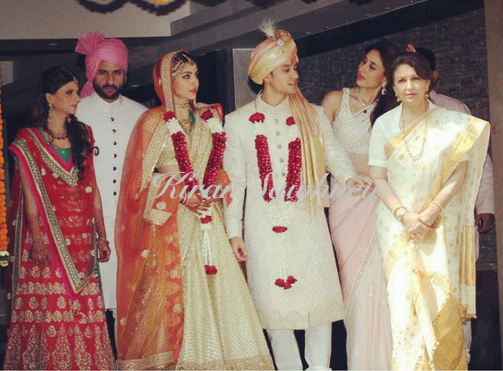 Here are the first pictures of Soha Ali and Kunal Khemu, who got married. We have already blogged about Kareena Kapoor here. 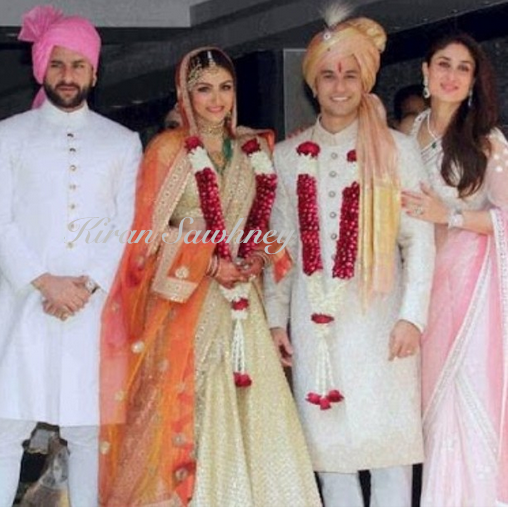 Soha wore a beautiful gold lehenga. Her heavily embellished bridal lehenga was by Sabyasachi Mukherjee. She looked pretty. Soha's mom Sharmila Tagore wore a beautiful white and gold meghela chador.